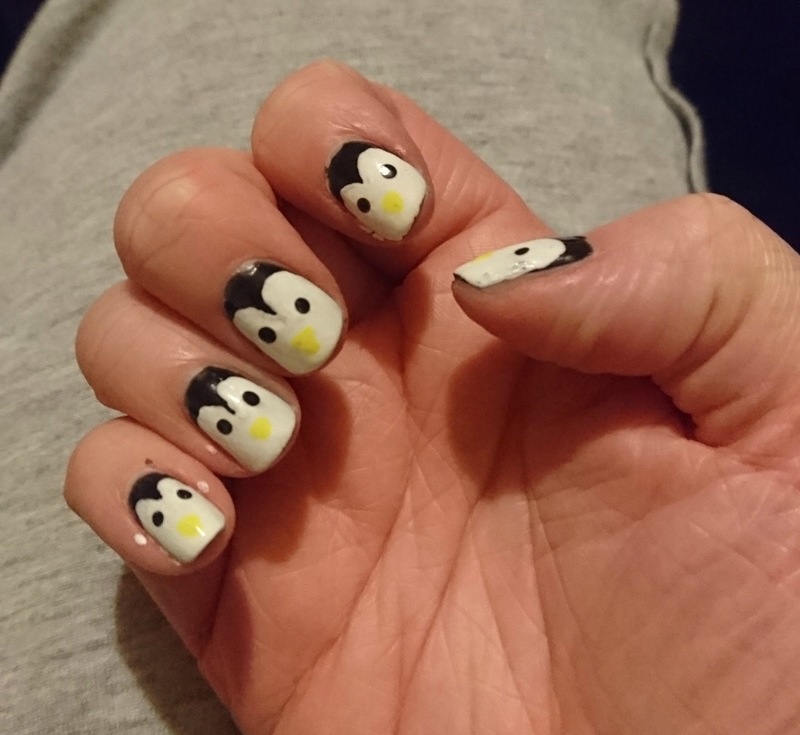 TheDarkeowl: NOTW 16: Penguin Nails! It's Penguin Awareness Day today! Seriously, go and look it up! So what better a day than today to post a cute little penguin design! These were super easy to create and look so adorable! I thought that this date would be a great special event to note on my blog! 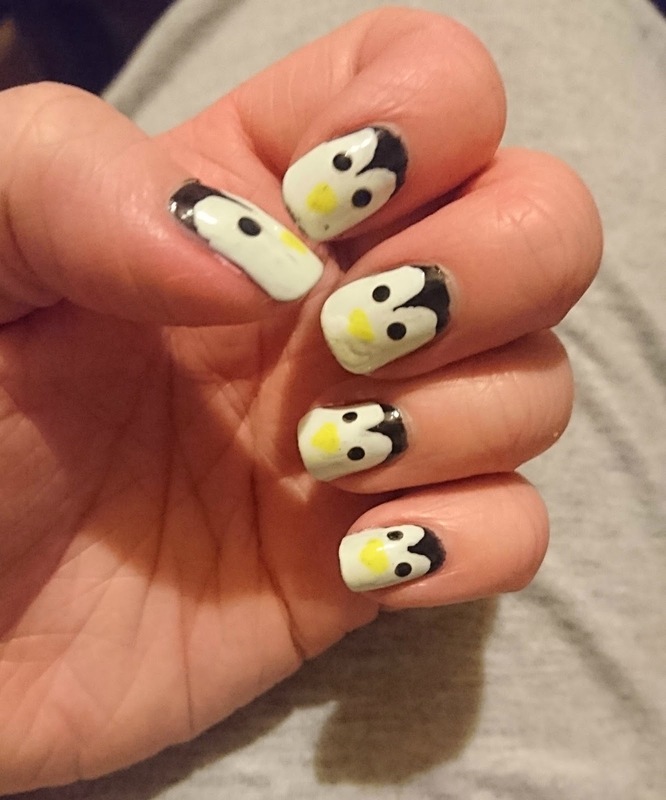 I know that penguin designs usually get done around Christmas, but this is a great excuse for them now! These were easy to create and look great on both hands (even when done with the 'wrong' hand!). I used Barry M's Black for the base and applied this all over the nail. I then went in with Sally Hansen's 'White On' and used the brush to apply this half way up the nail. I got a large dotting tool to create the crest and joined it to the rest of the white. I then went back in with the black and a smaller dotting tool to create the eyes on each nail. Using Rimmel's 'Cute as a Kitten Heel' and an even smaller dotting tool I created the triangle for the beak. I finished off with my Essence Top Coat and my Essence Quick Dry drops and the design was finished! I think this design looks so so cute and is such a fun design!